GE’s Power Services business is celebrating the 40th anniversary of its 6B gas turbine fleet by launching the world’s first 6B repowering solution. 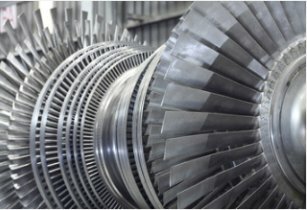 GE also announced it has signed its first agreement for the solution with a global chemical company to repower three 6B gas turbines and save significant amounts of fuel each year at its site in Asia. Today’s announcements mark another example of GE’s continued commitment to investing in its mature fleets to keep them competitive. In Africa, GE has an installed base of 60 6B gas turbines at various locations with the most recent installation in Cabinda, Angola. The fleet is mainly used for power generation for grid supply as well as for large industrial uses like refineries. According to GE, the repowering consists of a full “flange-to-flange” upgrade of all major components, including the combustion system, hot gas path and compressor, and it transforms the 6B unit into a GE 6F.01 gas turbine, which is also available as a new unit. · Achieving NOx emissions as low as 15 ppm.